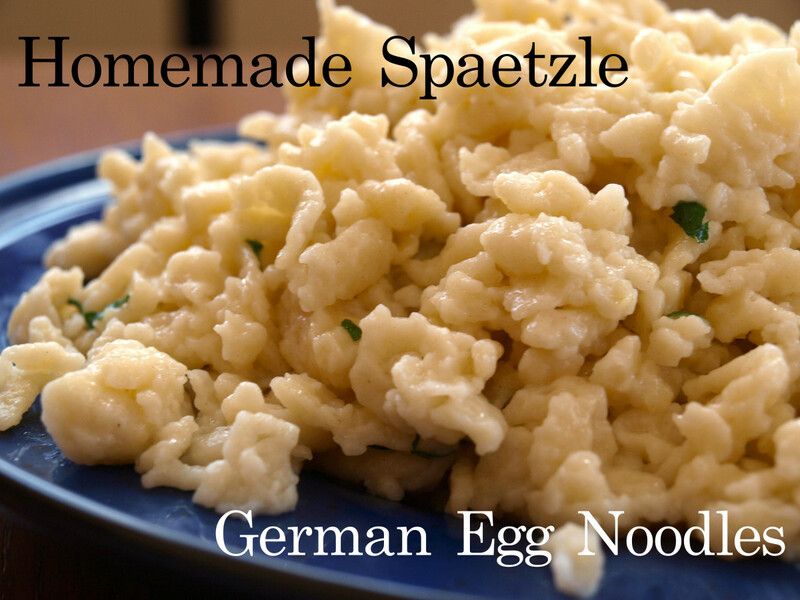 A favorite in Germany, as well as in German restaurants around the world, spaetzle are egg noodles. 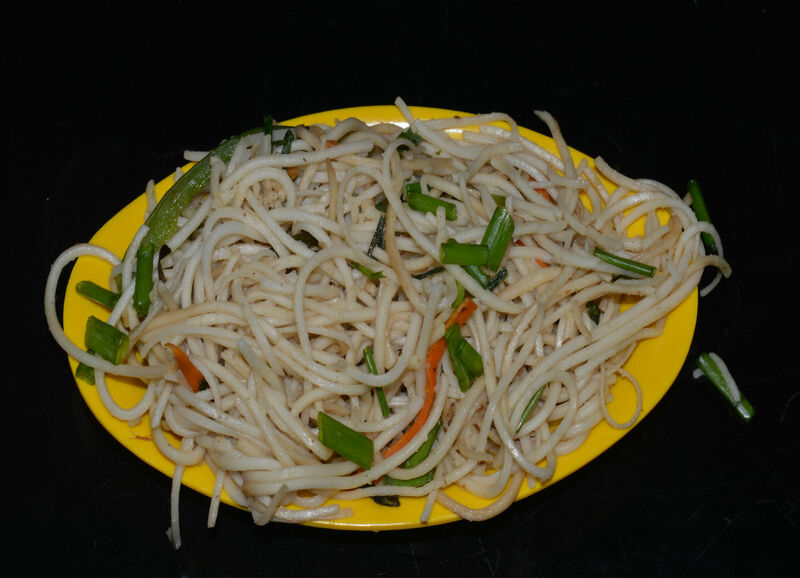 They are surprisingly simple to make and, depending on the preparation once the noodles are done, can be served as a side dish or as a hearty main course. Among the various preparations, they can be heaped high on a platter, crispy after having been fried in butter and sprinkled with chopped parsley, or they can be baked into a rich, cheesy casserole that, served with a side salad, is the ultimate comfort food. For me, these noodles bring back memories of summer visits to my grandparents in Germany. 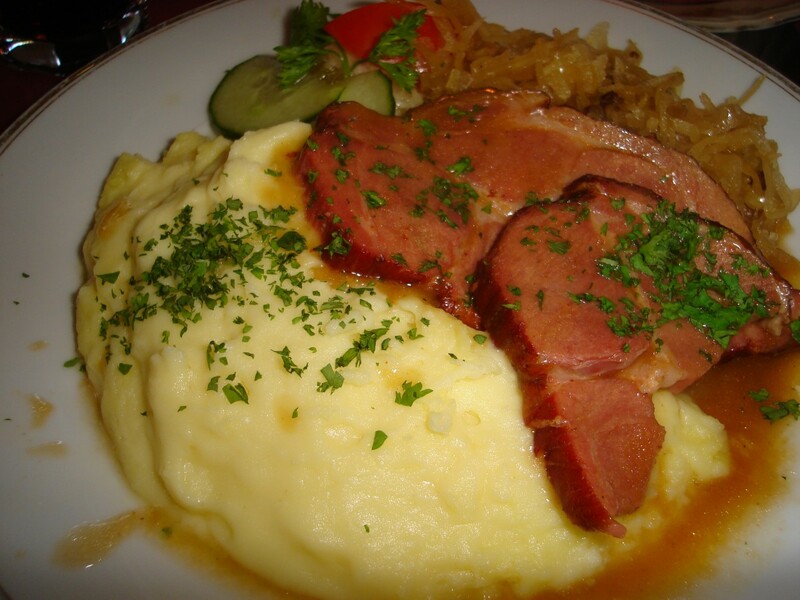 We'd head off on a sunny afternoon to a local restaurant in the beautiful German countryside and, no matter what I ordered, I'd ask for the side to be spaetzle. For me, there are few dishes that compare. 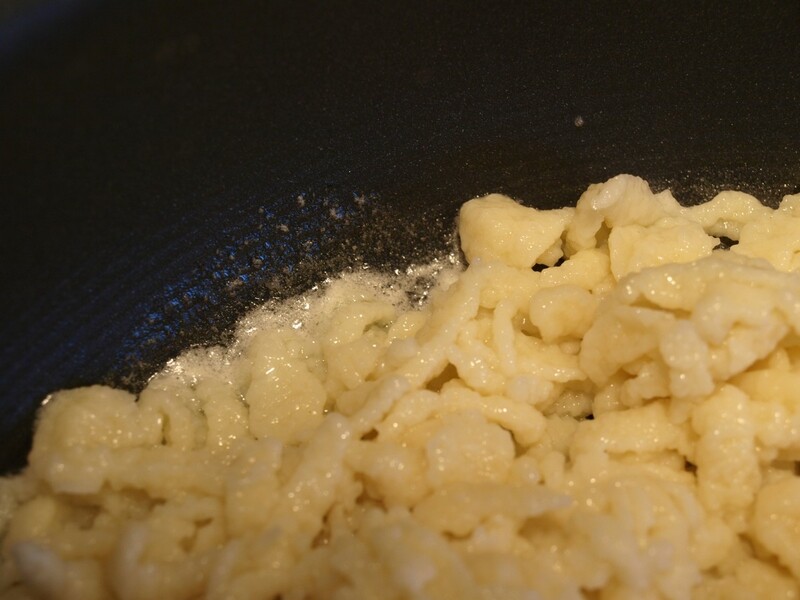 You can buy prepared spaetzle on grocery store shelves, but they aren't cheap and they aren't nearly as good as freshly made ones. Give these noodles a try the next time you want to make a new side dish or add a little European flair to your dinner. 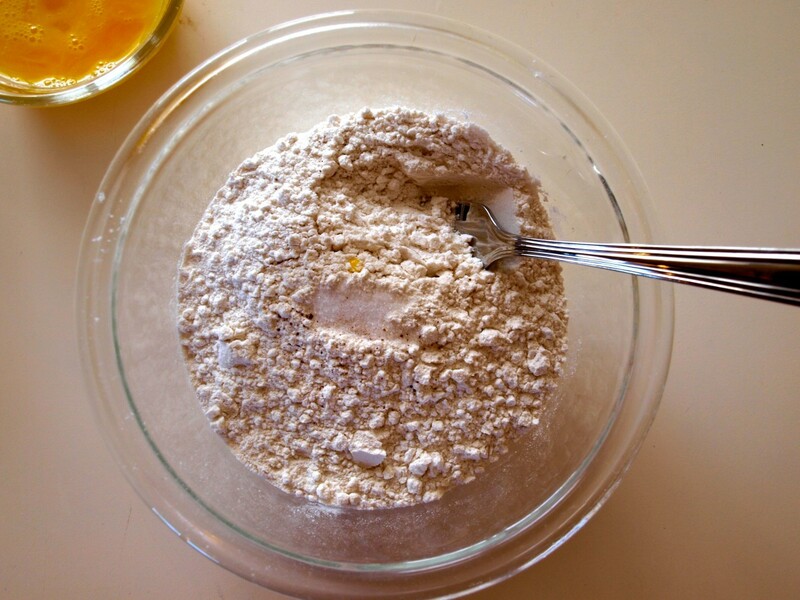 Mix together the flour, salt and nutmeg in a medium bowl. 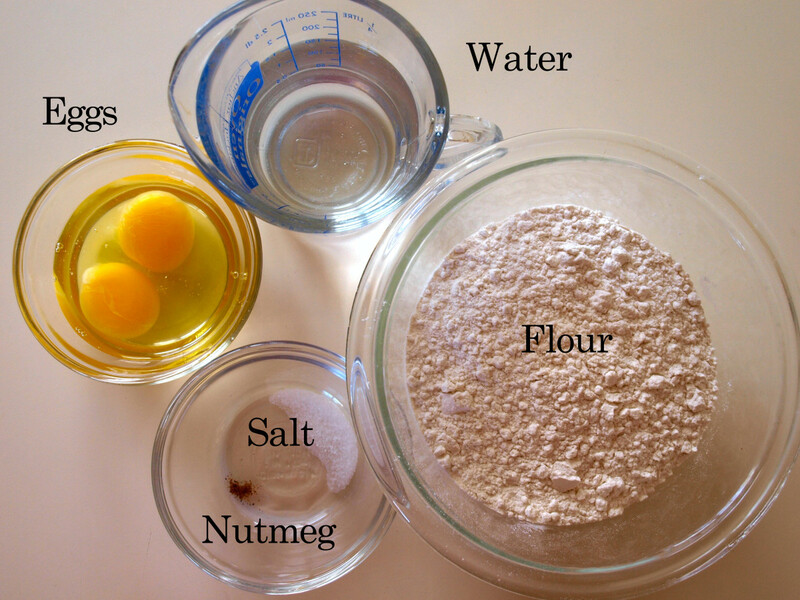 Add water and beaten eggs. 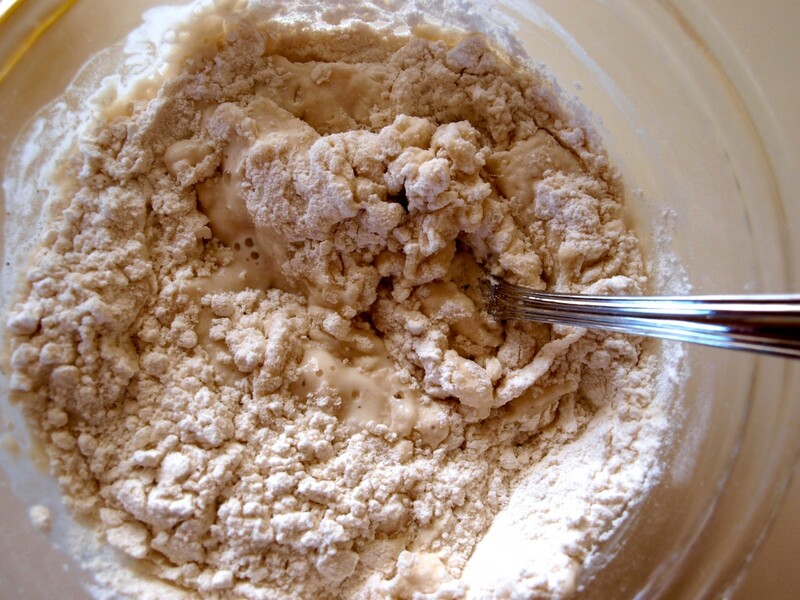 Mix together until well blended, about the consistency of thick pancake batter. Don't overmix. Bring a large pot of well salted water to a boil. I use about 2 teaspoons of salt for a gallon of water. 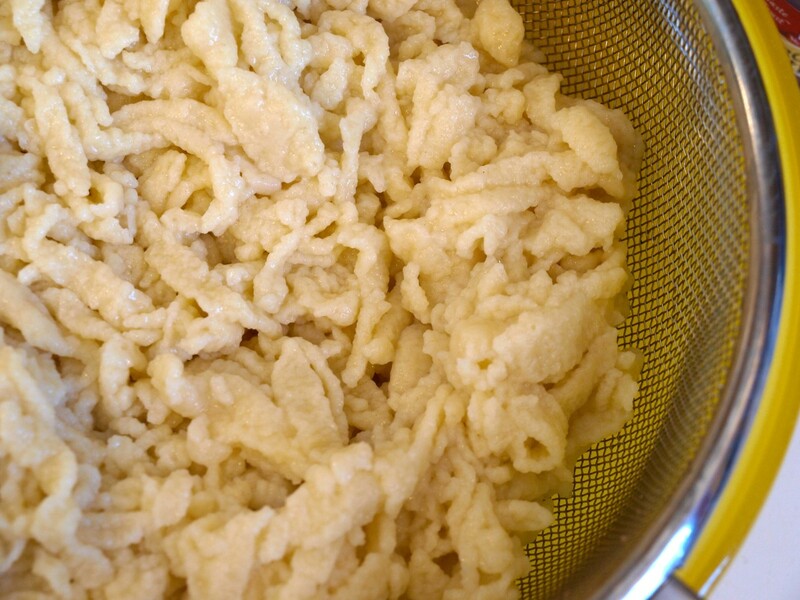 Using the spaetzle making tool of your choice (see descriptions near end of article) add batter to the boiling water a little at a time. 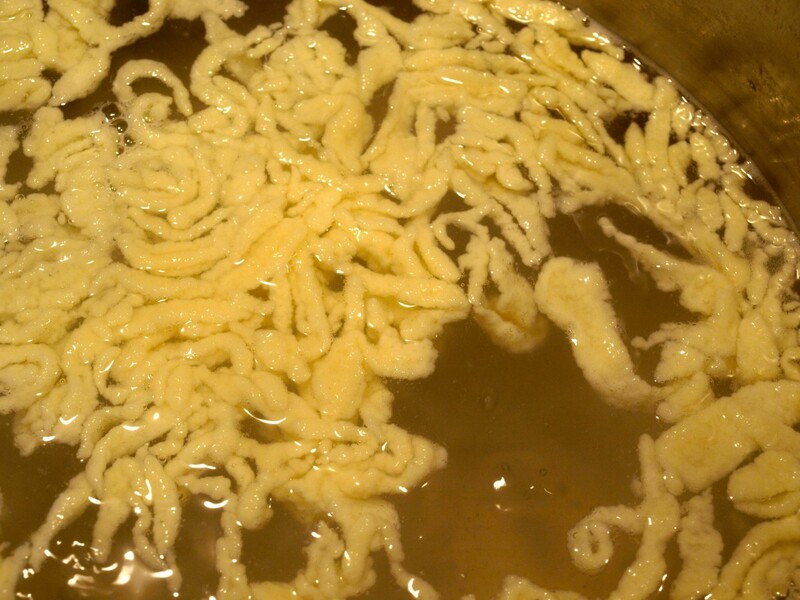 Use care not put too many noodles in the water at once or they'll clump together and won't turn out. The noodles are done after about 2 - 3 minutes. They will float to the top of the boiling water quickly. Don't let them cook too long or they will get too soft. Place cooked noodles in a sieve and run them quickly under cold water to stop the cooking process. Set aside and continue process until all noodles are cooked. Serve as desired (see the chart of serving suggestions provided above). Lid style - Fits on top of a pot and the batter gets pushed through into the boiling water below. Grater style - Acts like a cheese grater with an attached scraper. Ricer style - Just like a ricer except that there are only holes on the bottom of the cup. 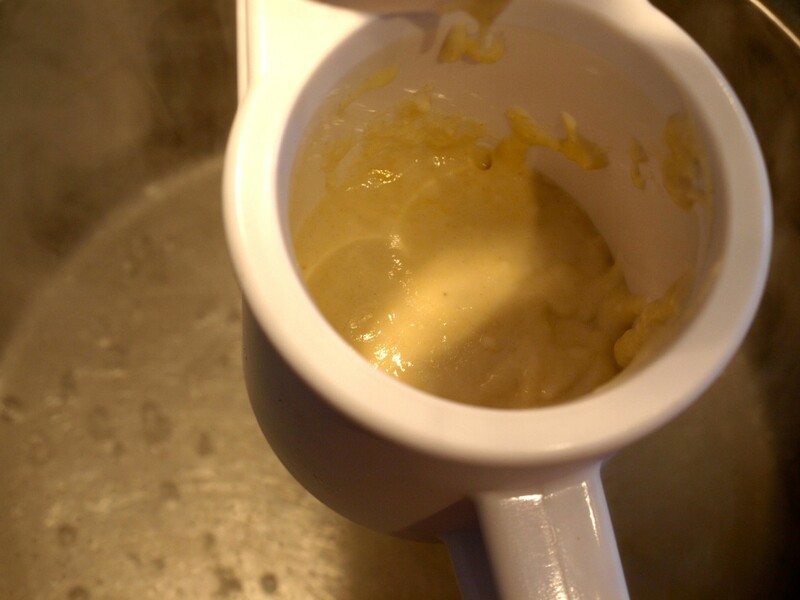 The batter goes into the cup and is pushed through with the top part of the gadget. This is the type I have and it works quite well. 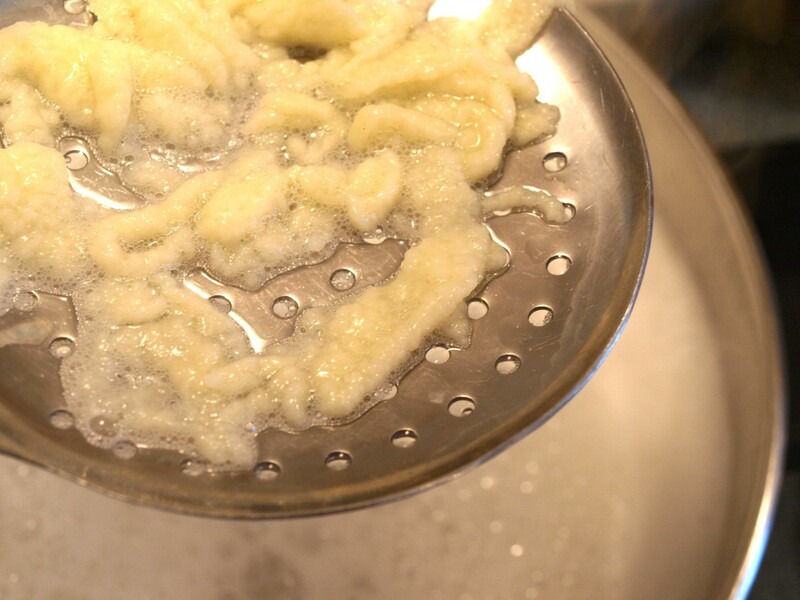 If you don't have a spaetzle maker, there's no need to worry. As you can see by the photo (above right), there are many tools you can use instead. They all work differently, with some working better than others. 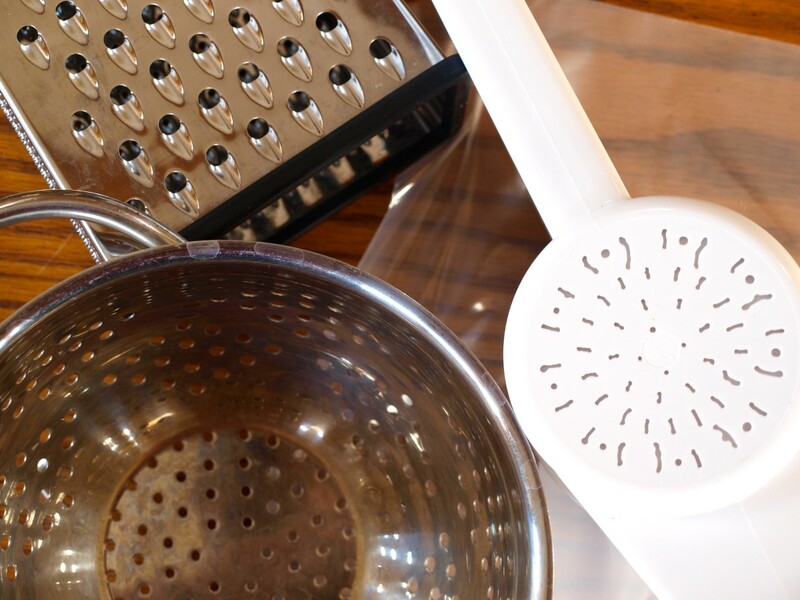 Colander and spatula - Use a colander with larger holes and a spatula or pastry scraper to push the batter through the holes. This method gets messy and the colander can get really hot. Ricer - I don't see many ricers anymore, but they work for spaetzle making. They are messy since the batter comes out of the side as well as the bottom. Cheese grater - Tough to use, and a little dangerous because of the sharp edges, the grater works, but isn't the best method. Use a spatula to press the batter through the holes. Plastic bag - Just poke a few holes in one corner and squeeze the batter through. It works fairly well, but a lot of batter gets wasted in the bag. Important suggestion: No matter what method you use, don't wait long to clean up. 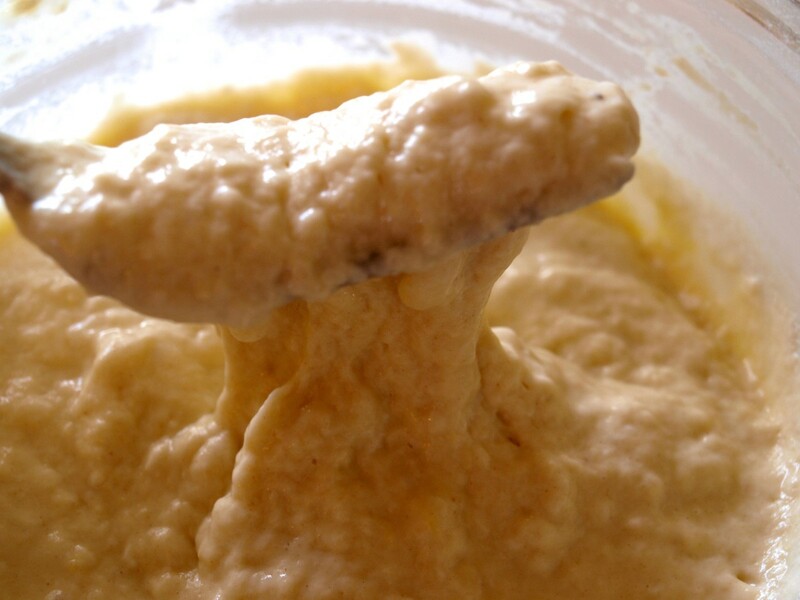 Once the batter has dried it is very difficult to clean off. 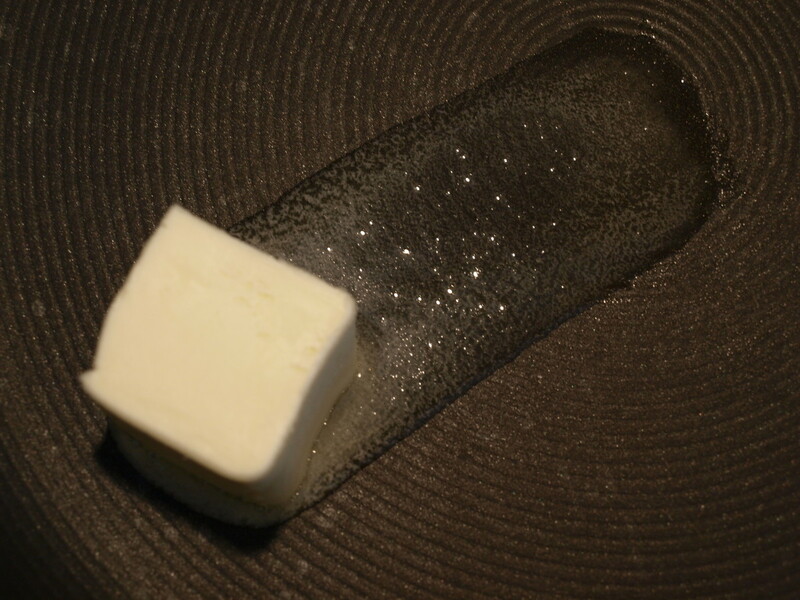 Melt the butter in a hot frying pan. Add the noodles and fry until desired texture is reached. 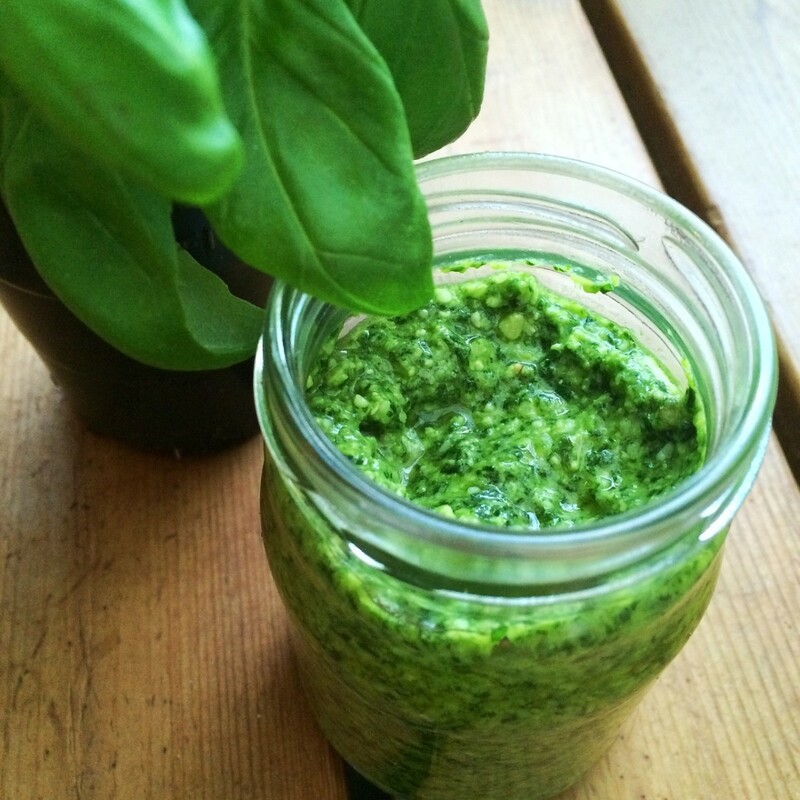 Add the parsley and mix through. Serve as a side or main dish. I love the idea of the pizza pan. How great. Give the nutmeg a try if you like that flavor. It adds just a little something to the taste. I make it all the time, at least once a week. Same recipe as posted except for the nutmeg. I use a pizza pan that has holes in it and push the dough through it. Turns out great every time. 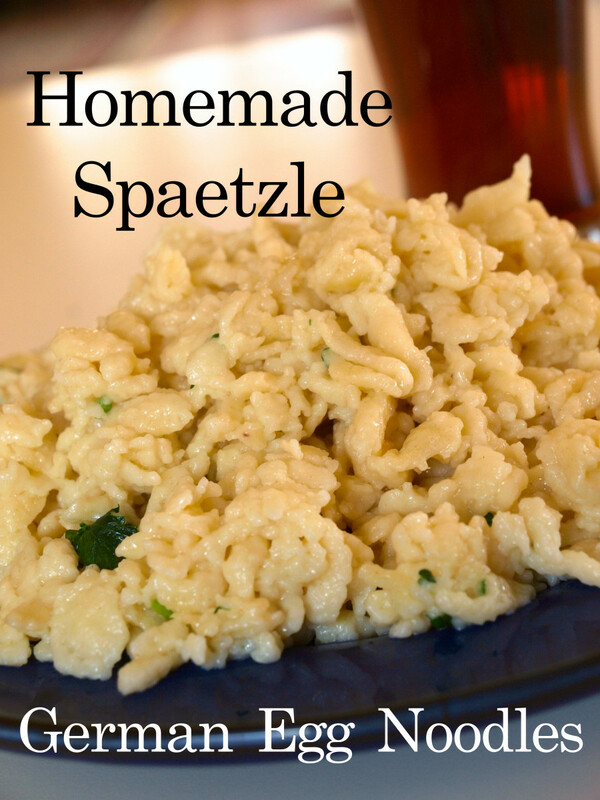 Mom used to make spaetzle for us years ago when we were growing up. She never had a spaetzle maker - she put dough on a cutting board and just sliced slivers of it off in to the pot of boiling water. If I make them today, it's still the way she made them. Just made them with a ricer! Super easy and delicious. Cheryl - Spaetzle are really good with cheese and the swiss cheese would add a nice tang to them. I'm hungry for some now. Thanks so much for reading and commenting! I layer mine with butter browned with alittle onion, and swiss cheese. 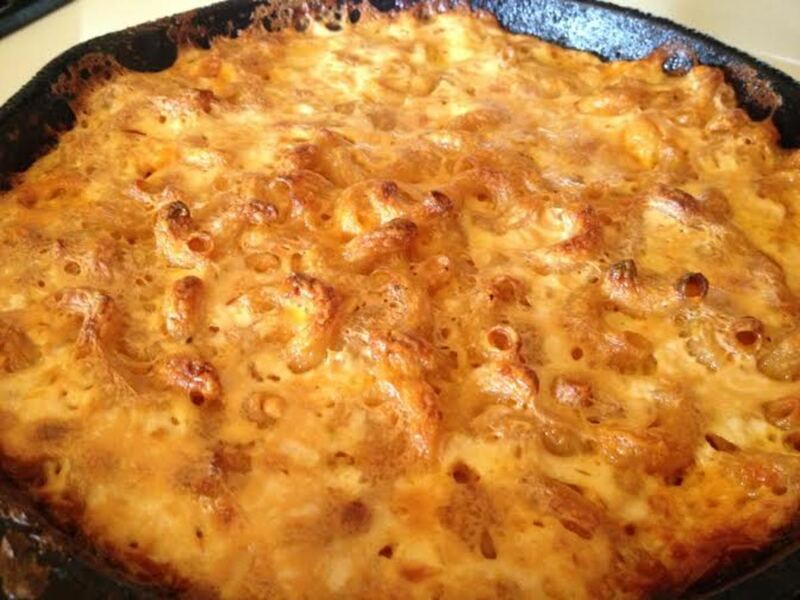 My daughters describe it as german mac & cheese. Served with Wurst!!!! so good! Hi Larry - I just made these the other day and they turned out well. I hope you enjoy them as well. Thanks for stopping by. Sounds wonderful. I'll have to give it a try. Thanks suzzycue! I hope you enjoy them. It's fun making noodles yourself, at least I think so. Have a great day. Wow I never heard of this but I can tell these noodles would taste great with cheese. I am going to try this one. Thanks. 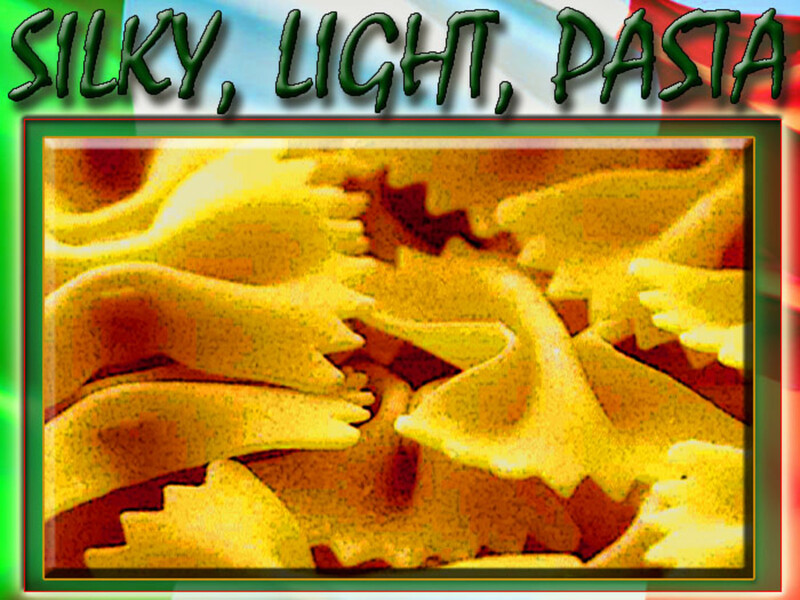 I love pasta dishes and this one is easy. I will see how my noodles turn out LOL. 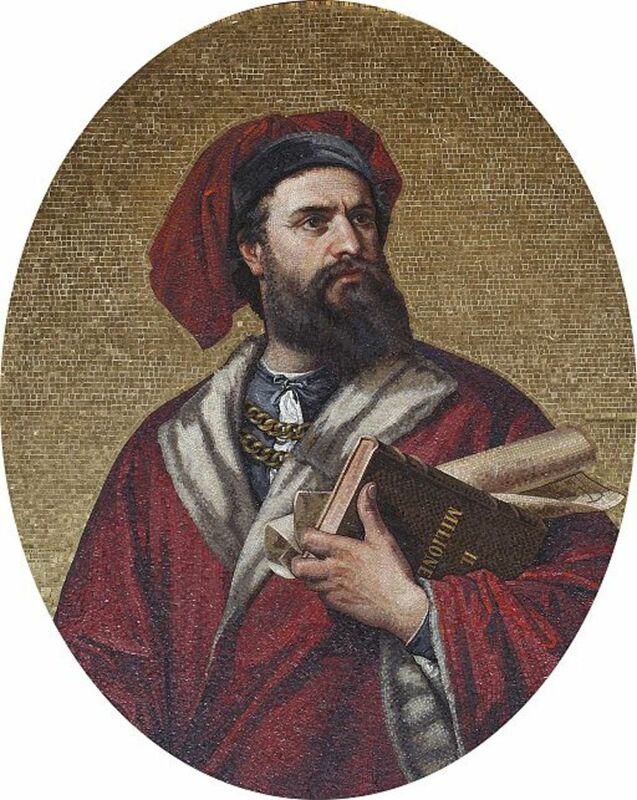 Hi vespawoolf - My apologies for not responding sooner, but I took some time off for Easter. I appreciate your kind comments, especially because of the wonderful recipes you write. Hope you get to try this one out soon. Thanks for stopping by! I was excited to see you'd done a spaetzle recipe. I haven't had spaetzle in ages! I appreciate the tips for those who don't own a spaetzle maker. I hope to try this someday! Thanks. Hi aviannovice - I think the nutmeg is the secret. I've seen other recipes without it, but I really think it makes the taste come through. Thanks for reading. This looks so good. I'll bet the nutmeg is the secret, eh? Thank Peg - I appreciate it. The camera kept steaming up when I was trying to take pictures so it was sort of funny. Hope you enjoy your Spaetzle. Thanks for reading. This recipe is beautifully explained and illustrated. 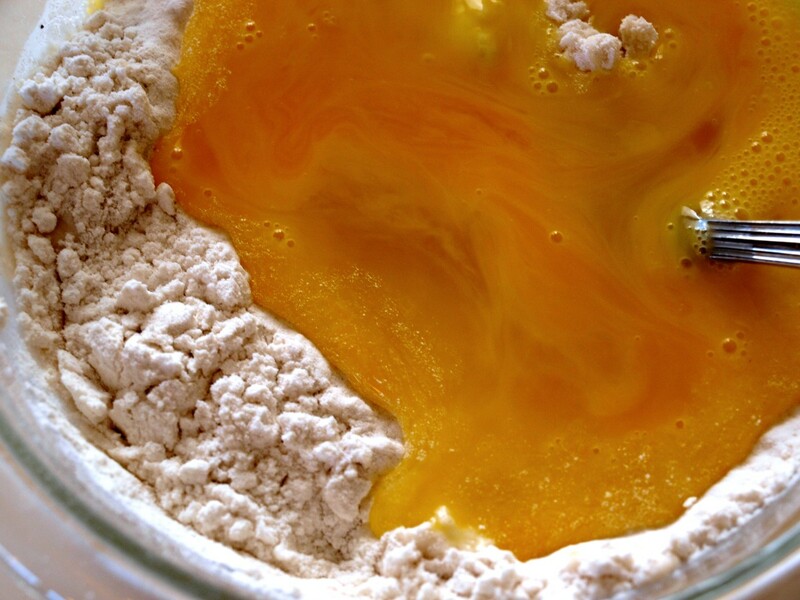 I love the top down pictures of the batter and your careful directions. I'll be on the lookout for a Spaetzle maker now. Thanks randomcreative. Good luck with the dish. I think you'll like them. Hope you are having a good weekend. I have had spaetzle in restaurants a number of times but have never made it before. You may inspire me to give it a try. Thanks for the detailed recipe! Hi Thelma - I bet Spaetzle are available everywhere in Germany. We can get it here too, but it's really pricey and not all that great. Thanks for the pin and hope you try it and enjoy it. Have a great weekend. Thank you Susan Recipes! I appreciate your kind comments and votes. Thanks Eddy! Glad you enjoyed it. I love eating Spätzle but I have not make myself yet as there are plenty of sold Spätzle in our shops in Germany. 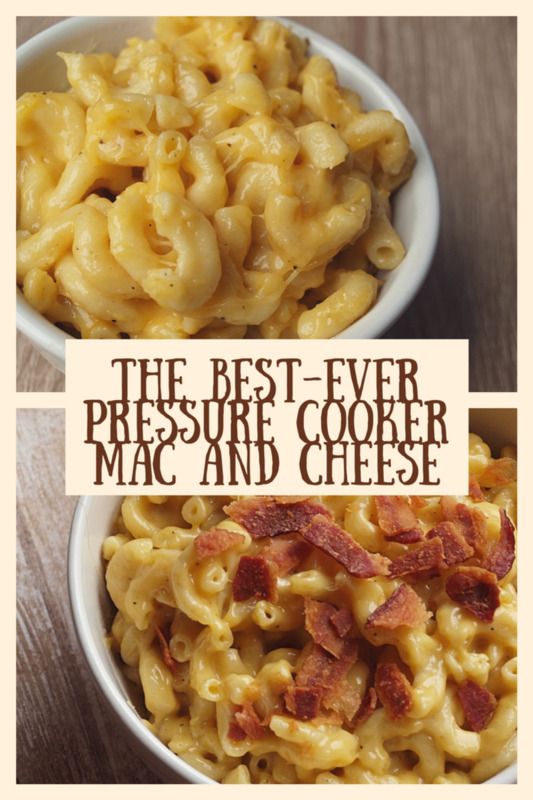 I would definitely try this recipe soon as I have not eaten this for months. Thanks for sharing this easy tutorial. Voted up and pin for later use. Wow... Amazing recipe. Step by step photo is great. Thanks for sharing. Voted up and 5 stars. Thanks anglnwu. 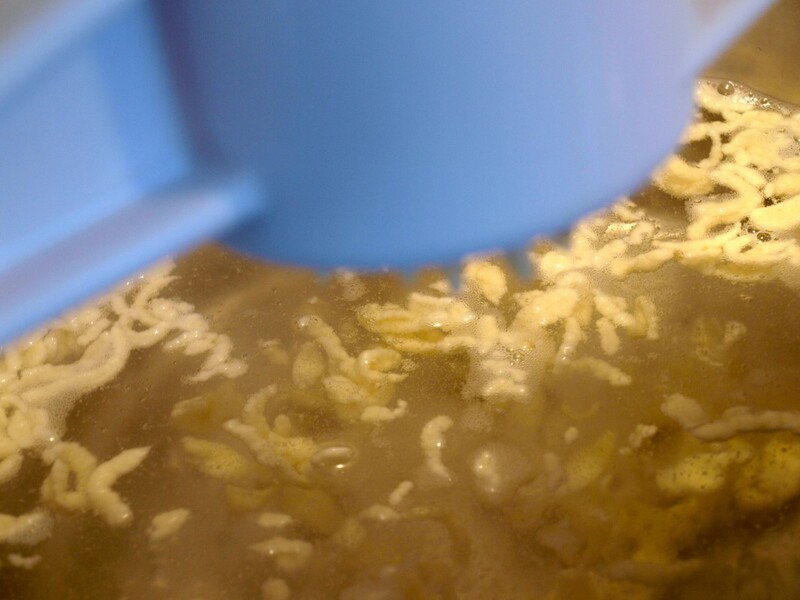 You can always try one of the alternate methods if you don't want to spend the money on a spaetzle maker yet. Glad you enjoyed the hub. Thanks for reading Bill. I think it's time for you to go to Germany for your next trip. Or just go out to a nice German restaurant next time you go to dinner. These noodles really are good. Hi Susan - It's definitely one of those yummy comfort foods. Hope you give it a try! Thanks for commenting. This looks amazing. Love your pictures. Would love to try it but I must first get hold of a Spaetzle maker. Rated up. Hi Glimmer. I've never heard of or had Spaetzle. How is this possible? It certainly looks like something that I would love. I'll have to look for this or better yet give it a try. Thanks for enlightening me. Have a great weekend. Looks like something I'd really enjoy. Thanks Audrey. It's close to dinnertime here and I'm getting hungry for some of these now. Have a great weekend. I hope you enjoy the recipe if you try it MsDora - Sometimes I'm surprised at how easy it is to make these and I like making things from scratch. Thanks so much for stopping by and commenting. Thanks Rebecca! 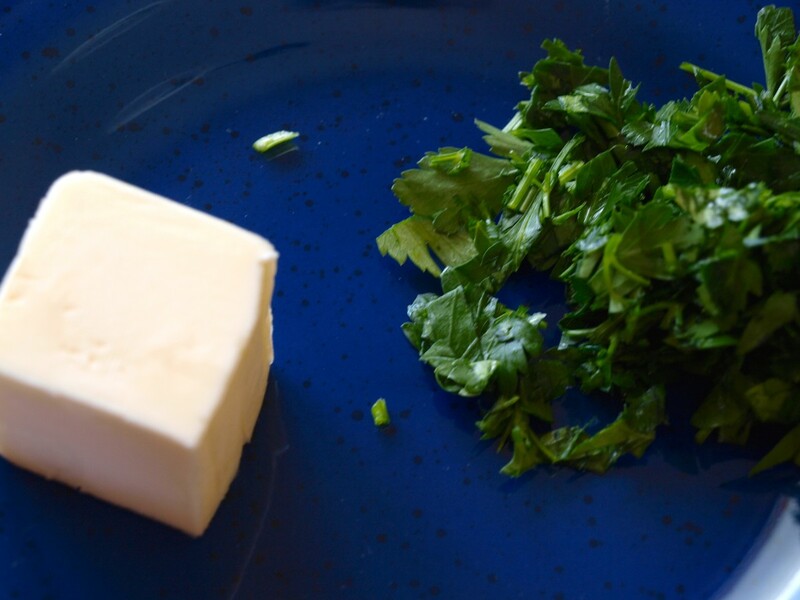 Butter and parsley is my favorite way too. Nice and simple, but they are really awesome with sauce from a dish like goulasch too. Enjoy the recipe. LOL Bill - You can definitely impress your friends with a good recipe. If you ever have a chance go to a German restaurant. German food is awesome and sometimes gets a bad wrap. I hope you give this one a try. Jackie - The nice thing about these noodle is that you can add whatever you want. They are a bit like a dumpling too. I bet they'd be good with chicken and veggies. Let me know how they turn out! Thanks for stopping by and have a great weekend. Thanks ladyrain - I know your neighbor will love them! Glad you liked the recipe. Oh yum!! This looks wonderful! Interesting and fairly easy. Thank you for introducing this German noodle. I'll bet those are good. I'll have mine with the butter and parsley! I've never heard of it....never had it....see what a sheltered life I live....LOL...but thanks to you and other friends on HP, I can sound worldly in a conversation. :) Thank you for this; Bev and I just might try it. Does look good. Could you add cooked veggies and chicken to have like pot pie flavor you think? Seems sort of cross between noodles and dumplings. Well I will just try some real soon and see for myself, thanks for sharing! 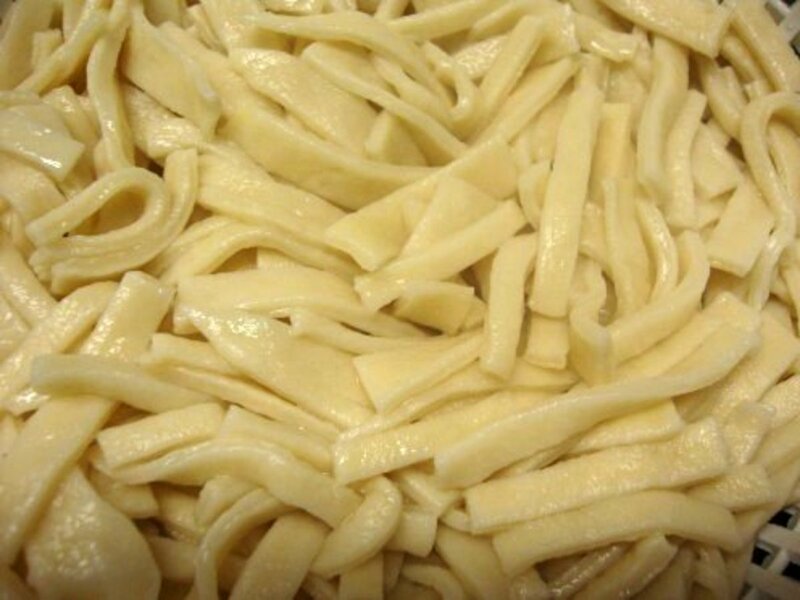 I would love to make these noodles, they look so delicious. My German neighbour doesn't know how to cook, and I'm going to make the noodles for her!